TEServices is able to assess the condition of each IGT component using NDT, metallurgical evaluations and mechanical testing. 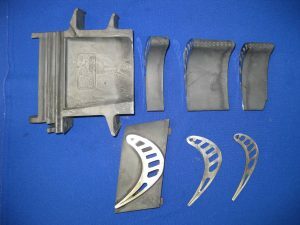 Furthermore, we provide metallurgical services such as failure evaluation root cause analysis, component life assessment before, during, and after repair, mechanical, oxidation, and corrosion testing, and first article qualifications. TEServices performs this for end-users, end-user organizations, and end-users' suppliers, such as repair and coating facilities. TEServices prides itself on giving advice that is easy to understand, even for customers that are not metallurgically trained. 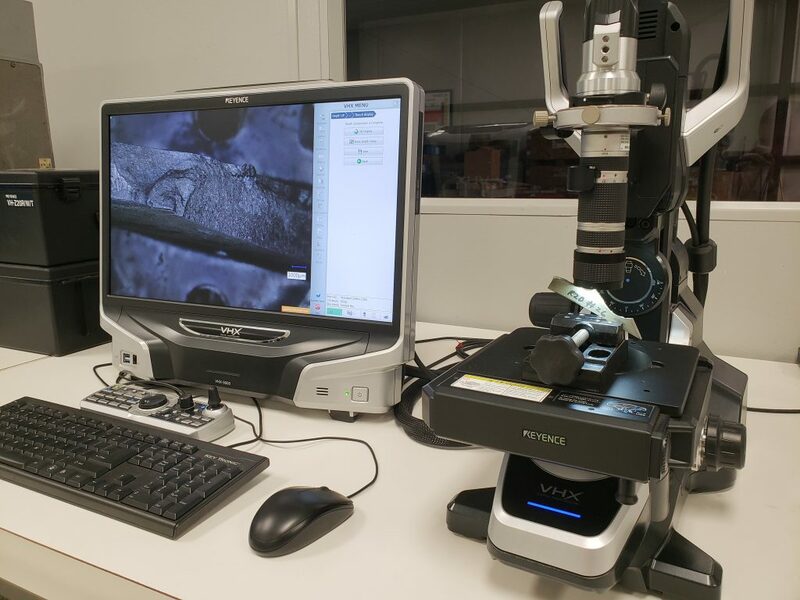 TEServices standard metallurgical evaluation limits itself to visual microscopy and can usually be performed within 24 hours after receiving the sample. 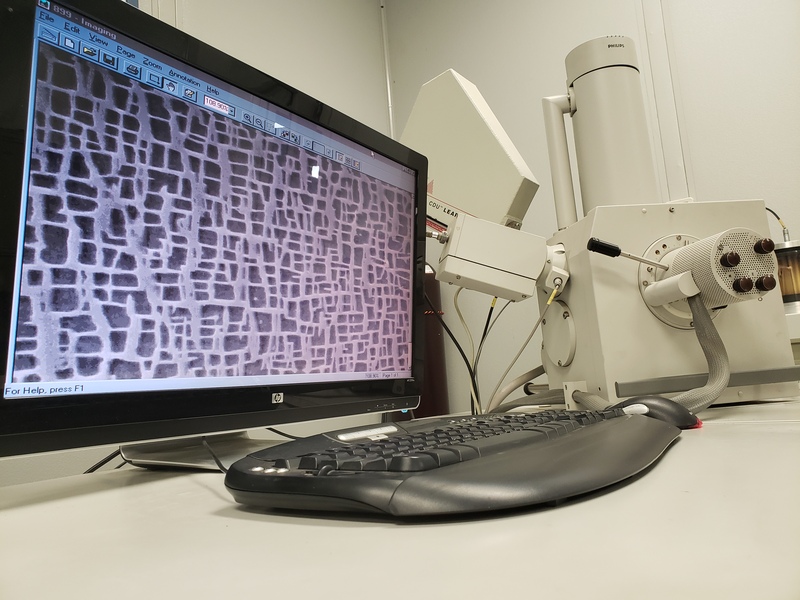 Advanced metallurgical evaluations also uses an in-house Scanning Electron Microscope (SEM) to provide pictures at high magnifications up to 15,000X to be able to define gamma prime and other phases and abnormalities this is performed within a few days. With metallurgical evaluation a sample is taken in a repairable area, such as the tip of the Trailing Edge of a turbine blade. 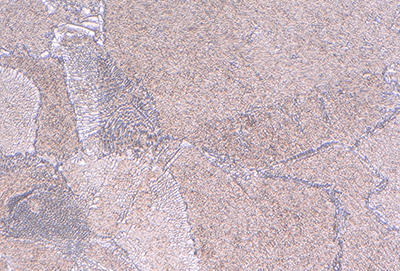 After mounting, grinding and polishing, this sample is reviewed in un-etched, as well as in etched condition, at low magnifications with visual microscopy, and at high magnifications with a Scanning Electron Microscope. 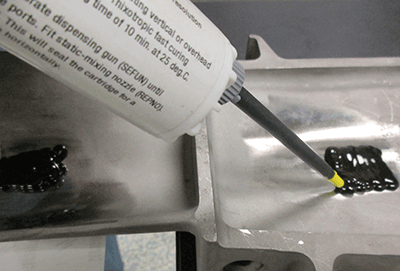 This evaluation can be critical to define the proper repair scope, the need for coating, and possible limitations of operation hours. Sometimes, the metallurgical condition needs to be assessed without removal of a sample. TEServices can grind and polish the surface, and microscopically evaluate the material with, or without, replica technology at TEServices or at customer location. This information can be very valuable in providing metallurgical condition to assess the condition of the component without removal of a sample (at locations that would render the part scrap or require repair) or even removal from the turbine. This technology has also been proven effective to evaluate the condition of Frame 7 FA row 0 compressor blades, turbine wheels and buckets using visual, digital and scanning electron microscopes. TEServices can perform the evaluation in our lab within a couple of days. Application of replica on Frame 7EA Stage 1 bucket after grinding and polishing. When one of your components fails, understanding why may become critical. Not only to be able to recoup some of the losses, but also to avoid this type of failure in the future. TEServices not only has the equipment such as visual, digital (Keyence) and scanning electron microscopes, and metallurgical expertise, but also the component and operational knowledge, to provide you with the best failure analysis. When non-destructive evaluations give reasons for concern or when there are other concerns, such as over-firing the turbine or running beyond OEM recommended life, TEServices can provide you with a more comprehensive evaluation. Life assessment combines metallurgical evaluation at critical locations with mechanical testing. 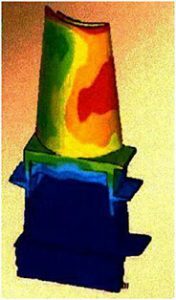 Stress rupture testing reveals the true strength of the material at elevated temperatures. The life assessment evaluation together with the history of the part can determine the remaining life time of the component. Life extensions of components including the above described metallurgical evaluations together with mechanical testing, models, and other experiences of that specific component enables TEServices to assess the remaining life.